Watch this 3 minute explainer video for a short introduction of what Global Health is all about. Our world is shrinking. With rapidly increasing movements of information, goods, services and people, the developments in one region of the world can have great consequences on the lives and health of people on the other side of the globe. Therefore, our health must be seen now in a global context and the issues of globalization, whether an opportunity or a threat to our health, are only accelerating. In Global Health we learn to think differently about problems and solutions as to be better equipped to bridge the gap between healthy and unhealthy, rich and poor, and other social inequities. We are all in this together and working to solve global health problems will help ensure that our world tomorrow and the world in which our children will live in future, is going to be a better place. If you are interested in Global Health, please join us in this exciting quest for a better future. You can visit the School of Global Studies at Thammasat University for more information here: http://www.sgs.tu.ac.th/ or leave any questions or ideas in the comments and we will love to get in touch with you right away. 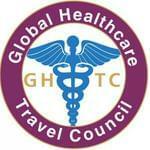 This post has been written by Global Healthcare Travel Council and viewed 1585 times.